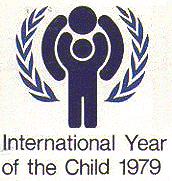 1979 was UNESCO’s International Year Of The Child, and all over the world the focus was, oddly enough, on children. I remember this because it was the year—and, indeed, the reason—that I became a radio star. Sort of. Somehow, I got to take part in a Year Of The Child-related radio program. I have a handful of hazy recollections of the day the show was recorded, when a bunch of little kids of varying ages were crammed into a tiny studio, all sat on the floor in front of the host. It was all a bit classroom-like, in a not very classroom-like way. At some point, the host asked me how old I was and what I liked doing. I matter-of-factly informed her that I was five years old, that I enjoyed riding my bike and that I could do “big wheelies”. The latter point was a total fabrication; I’d never successfully executed a wheelie of any kind—big, small or otherwise. I absolutely knew it to be an untruth as the words spewed forth from my little mouth, but did that concern me? Not in the slightest. Why let pesky facts dullify an otherwise entertaining story? Even the pop charts weren’t immune from Year Of The Child. A charity single, by a faceless group marketed as “The Kids”, featured within the Top 100 for more than half of 1979. Even with a childrens’ choir onboard, “The Kids” was something of an odd moniker given that the main vocal was predominantly by session singers who clearly weren’t kids. The song itself, a 2½ minute ditty called Care For Kids, was also used throughout the year in TV and radio promos (take a look here to be reminded or to discover it—it’s cute). To this day, it still reminds me of happy childhood times and, daft as it sounds, it’s still one of my favourite songs of the 70s. Plus, its initial success led to all manner of amusing schoolyard parody lyrics in later years, which saw the song enduring long after us actual kids had forgotten all about Year Of The Child. The UN and UNESCO have made many ‘International Year Of…’ proclamations since International Women’s Year in 1975, including the Year Of Disabled Persons in 1981, Youth Year in 1985, Year of Peace in 1986, Year of the Family in 1994 and Year of Older Persons in 1999. Some of their 21st century observances have been a little less obvious, including the International Year Of Rice (2004), the Potato (2008), Natural Fibres / Astronomy (both for 2009), Youth (again) in 2010, Chemistry for 2011, Crystallography in 2014 and Light/Light-Based Technologies in 2015. This year was declared, bizarrely, as the International Year Of Pulses—that is, legumes (a group which the all-knowing Wikipedia describes as including “alfalfa, clover, peas, beans, lentils, lupin bean, mesquite, carob, soybeans, peanuts, and tamarind.”) Who knew that stuff needed an International Year all of its own? But I guess it’s a sign of the times. The UN would no doubt struggle to think of widely known causes to champion these days, because so many of them have either already had their International Year, or they’ve been taken up by some other charitable organisation. Since the turn of the century, the UN’s primary focus has been on recognising contributions to human life, rather than raising cause awareness, per se; but, arguably, there can’t be too many causes left that haven’t already been done to death, one way or another. In fact, the world is currently awash with awareness. When I first started considering this topic, I couldn’t imagine how any issue or cause wouldn’t get sufficient airtime in 2016, what with so many awareness days every year that are dedicated to one cause or another. But I think I’ve worked it out. Very simply, there are just too many of them. At the core of the matter is that, with this overburdening of causes to recognise, people now respond to awareness campaigns as if on auto-pilot. Today, the now ubiquitous social media share is our most common response—stomach-churningly cheesey statements, intended to tug at the heartstrings, that invariably ‘go viral’. “Share this if you hate brain cancer and want a cure to be found“. Right… coz I’m really gonna say, “no way, I love malignant brain tumours and what they do to people, I never want a cure to be found!”. Pfft. These things raise awareness only for as long as it takes to skim them, share them and wait until our ‘friends’ or ‘followers’ are also done with them. Once they’re out of reach of our social media feeds, it’s a case of ‘out of mind, out of sight’ until it comes ’round again next year. But is the real point of an awareness day to truly raise awareness, or just to raise money? Arguably, social media awareness is, at best, transitory and, at worst, so short-lived as to be virtually pointless. That ridiculous ice bucket thing a couple of years back is the only real exception I can think of. At the time, it felt like it went on forever. But, in the process, it took ALS from almost zero awareness to virtually blanket awareness—this, despite the fact that most people probably don’t remember (if they ever actually knew at all) that it stands for Amyotrophic Lateral Sclerosis; I also suspect that many of those who uploaded videos of themselves having ice and water dumped on them did so for largely narcissistic reasons. But whatever their motivations, it all helped to raise millions of much-needed funding and research dollars; you can’t argue with an outcome like that. So if the main point of awareness days is to raise money, then I suspect at least some awareness causes, such as the International Alliance of ALS/MND Associations, could be doing reasonably well for themselves. $2 for a rubber wrist band (cost price: 10c), representing an issue that’s saturating social media right now? Sure, why not. $3 for a slice of cake, lovingly baked by a colleague just last night? Absolutely! $4 for a metallic stick-pin that I’ll wear today, then put in a drawer and never think of again, until the day I decide to clear that drawer of its collection of awareness and fundraising stick-pins? Yep, I can do that. A bandana for me? A bandana for my dog? A fridge magnet? A pen? A drink bottle? A mug? A t-shirt? OK, I can maybe occasionally part ways with my hard-earned cash for some of those—not all of them, mind you, and certainly not every year. That’d be pushing the friendship a bit! And, of course, when you approach me with much the same tokens to warrant my donation in five years’ time, know that I’ll almost inevitably look down at my mobile device, crank up my headphones and ignore you. “Just sayin'”, as the young folk have it. In my defence, at this point I must admit that I’m a fundraiser’s worst nightmare. I’m perfectly aware of the fact; indeed, it’s one that I’ve come to embrace. But, like a celebrity on a reality TV show, the fact is that I already have my chosen charity, to which I donate a substantial sum of money every year, in memory of my dad. For now, at least, I don’t actually want to donate to any other cause. 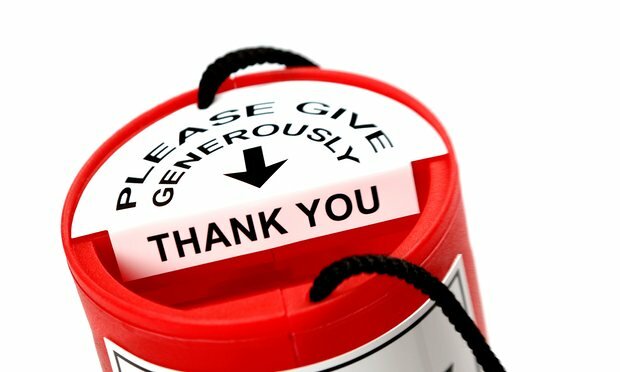 So when it comes to charity and awareness collectors on the street, I’m usually pretty adept at sidestepping them. Because I don’t walk along with my face buried in my phone, I can usually spot them from some distance away, and I’ve often taken whatever evasive action is required to avoid them altogether. Sometimes, I just stop walking until I decide what to do next; if I’m still far enough away, I might turn around and walk back the way I came, but if I’m already too close by the time I detect them, I might step into a shop or a nearby building, discreetly scouting for a way out. Sometimes I cross the road to get away from them; other times, if all else fails I’m that guy who drops a handful of silver coins, typically of the five and ten cent variety, into the collection tin, just to make it sound like I’ve given far more than I actually have. I ignore the fact that small silver coins sound very different to large silver and gold coins when they fall into a collection tin. I also ignore the fact that the collector no doubt knows this and recognizes what I’ve done, the moment I’ve done it. When all avenues of escape have been closed off and I really don’t want to subject anyone, least of all myself, to the small silver coin deception, to my shame I simply resort to the smartphone/headphone deception instead. It’s not out of callousness that I do any of this. My position on my existing charity donations aside, I just don’t like that sense of foreboding and confrontation that comes with saying “no thanks” to a charity collector. Especially if they’re a school kid or an old person. Their eyes, I know, burn through the back of my head as I pass them by. I feel it, with every fibre of my being. It’s horrible. That’s a total of 273 awareness days, weeks or months which, collectively, cover 313 days of every year. And that’s only what my quite rudimentary research techniques managed to uncover—who knows how many others there might be? So while there may not be an awareness campaign for every single day of the year, assuming I was a ‘global citizen’ who had the opportunity to recognise all of them, I’d spend a whopping 86% of every calendar year being (or becoming) (or being made) aware of something—liking and sharing posts on social media, buying those stickpins and rubber wrist bands and pens and bandanii (probably not the bandana plural, but I like the sound of it) and dropping one coin after another into branded collection tins. Don’t get me wrong, I’m not making judgement calls on any of these days, weeks or months. Doubtless many of them—maybe even World Password Day—are beacons for excellent causes. I certainly don’t seek to belittle or diminish them, or take away from the good work they do, in any way. I’m simply raising awareness of the fact that there are shitloads of them (has anyone considered the potential benefits of “Awareness Day Awareness Day”?). Even if I gave $2 to each of them, I’m lucky enough to say that it wouldn’t go close to putting me anywhere near the breadline, let alone on or below it. But not everyone’s that lucky; some people want to give, to as many charities as they can, but can’t afford to. How must all of these missed opportunities make them feel? At any rate, that’s a whole lot of awareness and, to be honest, come the end of the year I’m not too sure how many of them I’d actually remember. Sure, I might recall them when they give me a nudge next year, but is that really the point? Surely the best result for any cause that’s truly worth championing is widespread, ongoing awareness? Whenever I spot those charity collectors and awareness-raisers, all smiles and jiggling their little collection tins and their brightly-coloured wristbands, as I scope the street for my escape route a turn of phrase often comes to mind: “moderation in all things”. There’s only one thing that will allow ongoing cause awareness: far fewer awareness days. This entry was tagged Awareness Day, charity, fundraising. Bookmark the permalink.